You can check your computer's IP address here. I was given a Kindle Paperwhite. I wanted to buy ebooks from Amazon. I read your blogs and tried to follow it step by step. I always used VPN. Even got fake US addresses. After more than 10 attempts with different email accounts and Singapore credit cards, I was still rejected by Amazon. First time in my life I felt defeated by something so simple as trying to buy an ebook online from Amazon. Can I come and see you or you can recommend someone to me who can help me. You cannot use Singapore credit to buy ebook, you use Singapore credit card to buy Amazon gift card, then you use the gift card to pay for your ebook. 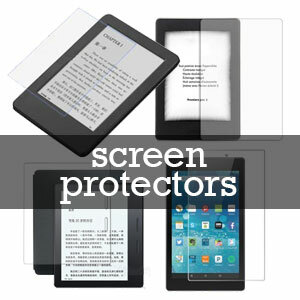 i am new to kindle eBooks and would like advice if i can use the same kindle paperwhite to read both english and chinese books. I also like advice if i can have an Amazon account on both the US and China sites, purchase books and download them to the same kindle device. Essentially, i’d like to be able to have one device to read both english and chinese eBooks. Hi Greg, you can. Just logout your US Amazon account and login to China Amazon account on your device, and vice versa to switch between these two accounts. The books that have been synced into your Kindle will remain in your Kindle even you switch to other account, until you delete them manually. How do I logout from my kindle for amazon us and login to amazon China? Do I have to de register? Thanks ! I look forward to you reply. Yes, you just need to deregister it to logout, your contents will remain intact.